What’s better in the 700c vs 26 Inch battle? 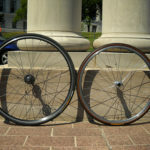 The simple answer is that all wheel sizes work well if you use good quality components. But let’s take a closer look at the pros and cons of both sizes in any case. 26inch wheels are slightly smaller than 700c. Why Go 700C / 29 Inch? 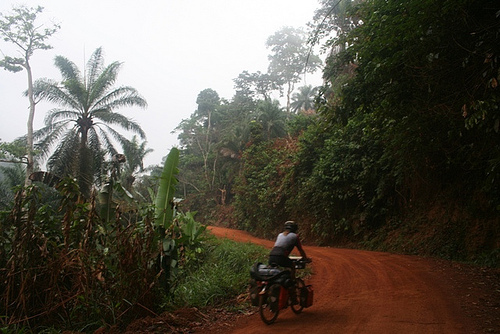 Riding in remote locations is the main reason bicycle tourers turn to 26 inch. But just say that you are running 26inch tyres and your sidewall blows out while you have no spare. The tyre that you find in the closest bike shop (for argument’s sake, in northern India) is low-quality with no puncture protection. It’s going to get you going but isn’t a great long-term solution. My point is: you won’t find good quality spares for any wheel size in remote locations. In places like India, I suggest carrying a spare tyre, 2-3 tubes, 1-2 rim tapes and a bunch of spokes. That way it really doesn’t matter what size wheel you’re rolling on. Carry adequate spares and it won’t matter what wheel size you ride with. My last pair of Schwalbe Marathon Mondial tyres lasted 25000km with only a couple of slow leaks (review HERE). Spare tyres work out at about 650g each, which isn’t much for the piece of mind. If you do need additional spares, freight companies will get gear to you all over the world at good rates (provided you shop with the right companies). What About 650B (27.5 Inch)? 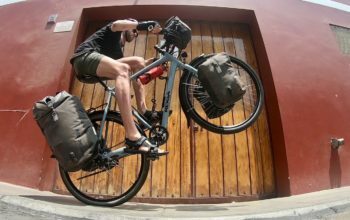 650b wheels (or 27.5″) have been a popular size on randonneur bikes for some time, but have only recently become the must-have size in the mountain biking world, driven by huge marketing campaigns. 650b is the middle size between 26inch and 700c (actually it’s a bit closer to 26inch), so a bike with these wheels tends to have a mix of both 26inch and 700c riding characteristics. 650b is the middle size between 26″ and 700c. The issue with 650b currently is spare parts. There are barely any touring specific rims and tyres available in this size. 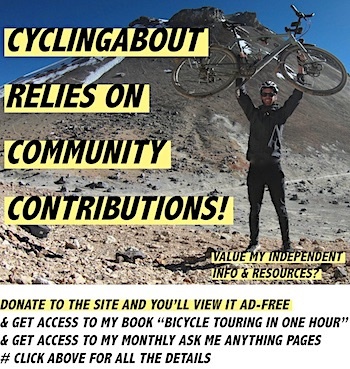 Good luck finding 650b tyres and tubes in your average bike shop: 700c is sometimes hard enough! In the next 10-20 years we may well find that 650b will replace 26inch, but until there are the parts available, it’s best to stick to the mainstream sizes. A 700c wheel increases the chances of toe overlap compared to the smaller wheel sizes. 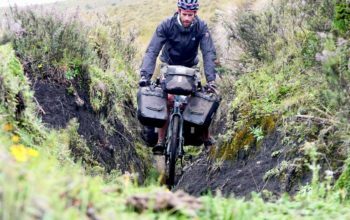 This is one reason why Surly only offer 700c wheels on their touring bike frames over 56cm. If you are on the smaller size, it makes sense to use 26″ wheels that reduce toe-overlap and the stand-over height of your bike. 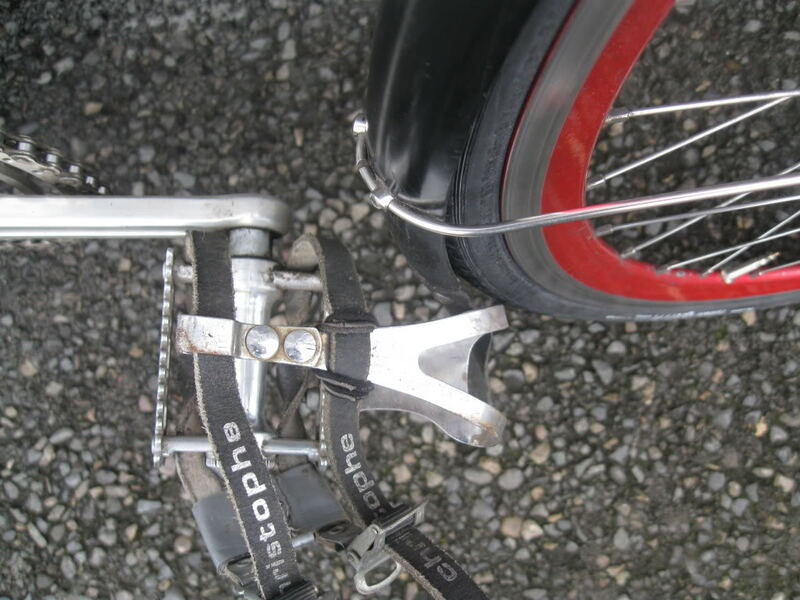 Toe overlap can be reduced by using a 26inch wheel over a 700c. 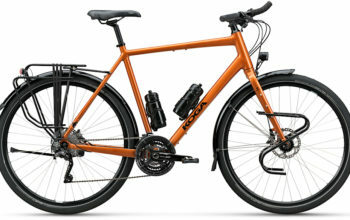 Why Do I Choose to Use 700c on my Touring Single? I like the feel of a larger diameter wheel rolling over uneven surfaces. Durability and spares haven’t been a problem for me in the past as I generally use high-quality components and carry adequate spares when I travel. 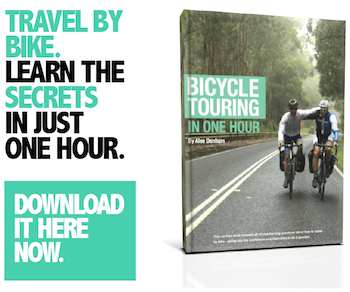 Why Do I Choose to Use 26inch on my Touring Tandem? 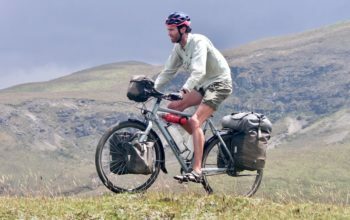 My priority for the tandem wheelset is strength over all other factors as a loaded touring tandem is really, really heavy! 26inch wheels provide shorter spokes which I lace up to super strong Rigida Andra 30 rims. What Rims and Tyres Do I Recommend? 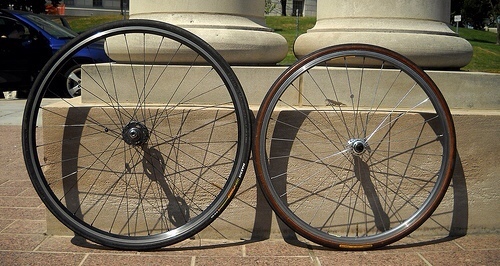 Ryde makes the best rims for bicycle touring. The Grizzly 700c and Andra 30 26inch are the strongest around by all accounts. Rim brake users can get these rims with a CSS carbide coating to reduce rim wear. My review of the Andra 30 is available HERE. Schwalbe makes standout tyres for touring. The folding Almotion, Mondial, Dureme and Supreme are light, durable and puncture resistant. 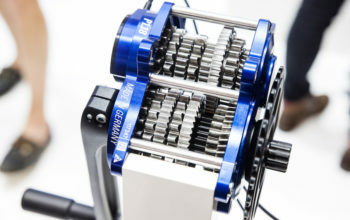 You can read my Schwalbe article HERE and review of the Mondial HERE. – If you choose a high-quality 700c wheel and tyre you are able to reap the rewards of a faster and smoother rolling wheel. – If you use good quality parts, you’re less likely to have issues in remote locations. Carrying spare parts will allow you get to less-remote places to restock. – Not everyone can afford the highest quality wheel and tyre parts. If this is you, a 26inch wheel will offer more strength for your buck.